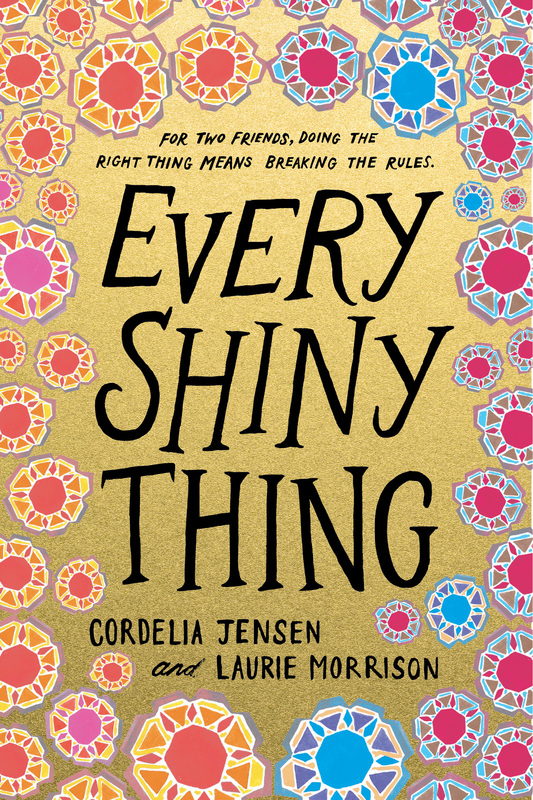 (2) Currently, I live in a neighborhood in Northwest Philadelphia where Every Shiny Thing, the MG book I co-authored with my friend Laurie Morrison, takes place. (3) I’m the mom of boy-girl twins. They just started seventh grade! Eep! (4) Along with an MFA in Writing for Children & Young Adults, I have a MEd in School Counseling and a certificate in Family Therapy. Although I don’t actively use my counseling degree, I do think it comes in handy as an author! El Space: You are having a busy year, with the release of Every Shiny Thing, and The Way the Light Bends. What, if anything, did you find most challenging in the writing of your verse novel? Cordelia: The book was sold on proposal and I had never done that before. So, it went through a lot of different drafts and stages. At one point, which you know already since you read it at that stage, the book was actually a dual POV between the two sisters, Linc and Holly. Probably the hardest part of the process was writing Holly’s POV and then cutting it. But, in the end, it helped me get to know her so much better and I hope the book reads more authentically from me having spent that much time getting to know Holly’s journey. El Space: Linc and Holly’s relationship as sisters is very poignant, as is Linc’s relationship with their mom. Please tell us how you came to write about these relationships and their conflicts. 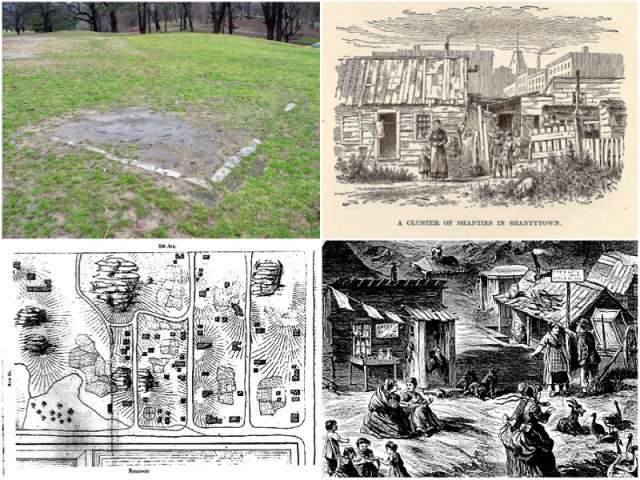 Cordelia: The idea for the book first came to me from hearing a story on NPR about Seneca Village. When I heard the story, I immediately saw two sisters—one white, one black; one biological, one adopted—wandering Central Park. I knew they used to be close but were very disconnected and that part of the work of the story would be them finding each other again. When my twins were little, I used to write articles for a publication about multiples and once I interviewed “virtual twins” for one of these articles. That idea of kids being just a few months a part but raised in the same home as twins, always stayed with me as a really fascinating family dynamic. Competition is often an issue in a twin dynamic and I guess I think that can often be encouraged or discouraged due to parental style. 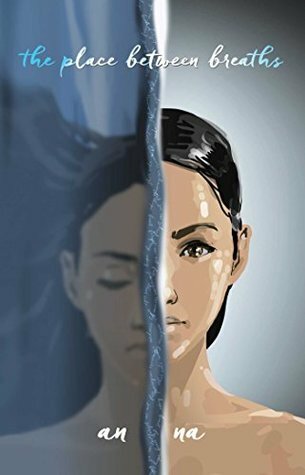 In this case, I wanted to write about a parent who favored one girl so much over another that she was doing serious damage to virtually everyone in the family. 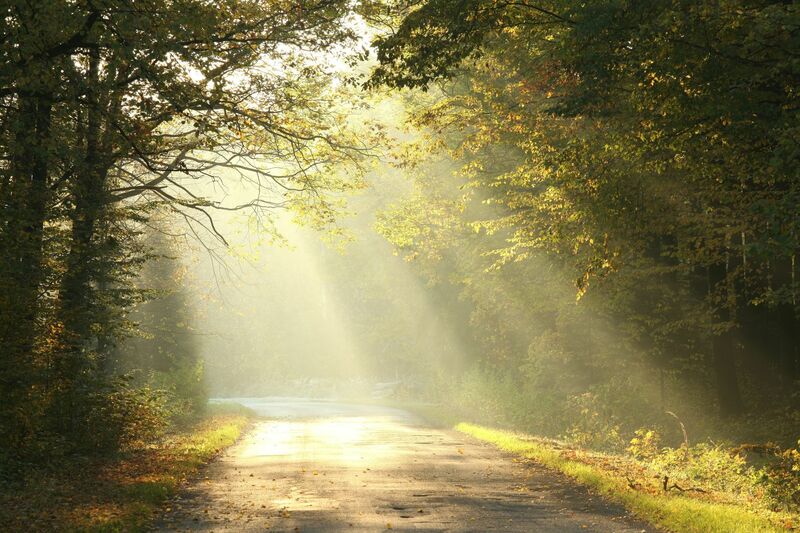 The mom is clearly the antagonist in The Way the Light Bends, although it feels to Linc sometimes that Holly is I think. The reasons behind the mom’s behavior though wasn’t clear to me from the beginning. I had to write myself into a place of understanding her and her behavior. This story is about sisters but, in a way, it is almost as much about how parents can impact the self-esteem of their children. 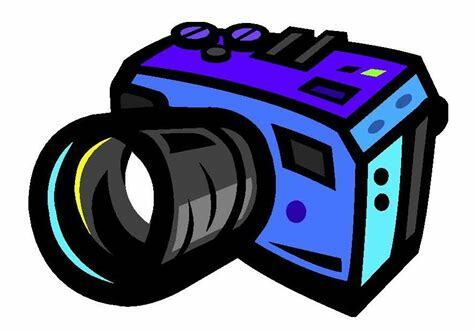 El Space: Linc is a photographer. I loved the photography imagery you used in the titles of the poems and elsewhere in the book. Why did you choose that art form for Linc? Cordelia: Thanks! It was fun to learn more about photography, as my mom is a professional photographer, but I didn’t know a lot about the technicalities of the art before writing The Way the Light Bends. Honestly, it didn’t feel like I chose it. When her character came with me, her camera came too! El Space: When we talked about your other novel in verse, Skyscraping (click here for that interview), you mentioned that astronomy was a theme, and that playing with space in poetry is important. What was important to you theme-wise in this book? Why? Cordelia: It was very important in this book that the verse reflected Linc’s imaginative and artistic personality and viewpoint. 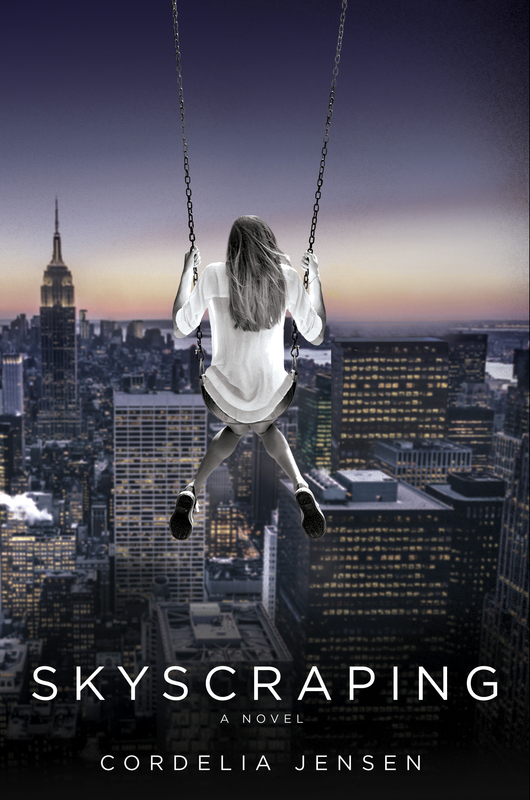 So, I played with white space even more than I normally do and saw some of the image construction as actually the way she sees the world—if that makes sense. Like, there is less metaphor, though there is some, and more of a fantastical way of actually seeing the world. Sort of like La La Land, where it is harder to distinguish what is happening and what is in the character’s imagination. I also played around more with fonts! El Space: You teach creative writing. What to you are the ingredients of a great verse novel? Or are those easy to pinpoint? Why or why not? Cordelia: I think any verse novel needs to use poetic elements to create an overall narrative to be considered one. I think a great verse novel has to play with white space, play with language, and use imagery, while having a strong handle on plot, setting, character development, etc. El Space: Who are some authors who inspire you? Cordelia: I guess my favorite authors write lyrical, coming-of-age stories that are both beautiful and sad. 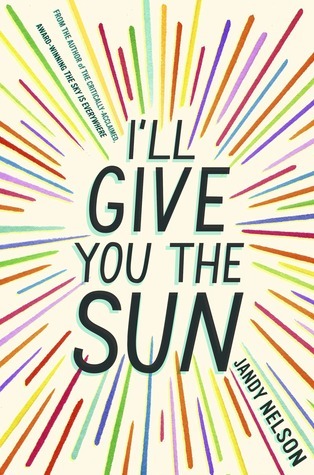 So, I love writers like An Na and Jandy Nelson. 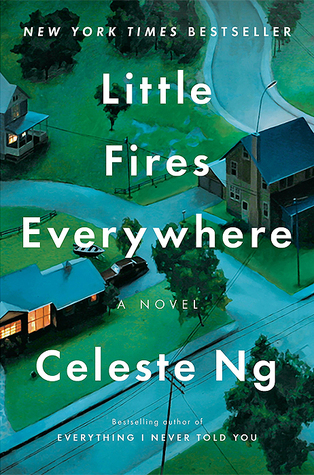 I also have really enjoyed Celeste Ng’s books, though she technically writes for adults. Cordelia: I have started a middle grade book, a young adult book, and a picture book—all in verse! And Laurie and I are also working on collaborating on a project again. Thank you, Cordelia, for being my guest. Looking for Cordelia? You can find her at her website, Twitter, Instagram. 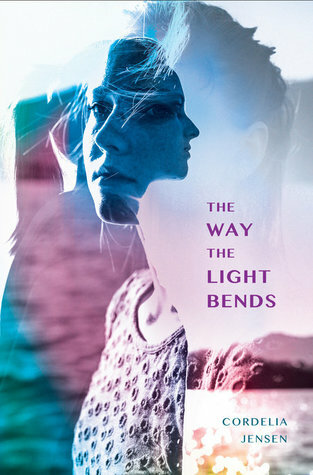 The Way the Light Bends can be found at your local bookstore, Amazon, Barnes and Noble, and Big Blue Marble Bookstore. But one of you will be given a copy of this verse novel just for commenting. I will say it in rhyme! One of you will win this book. Leave a comment that’s worth a look. who the winner of the book will be. 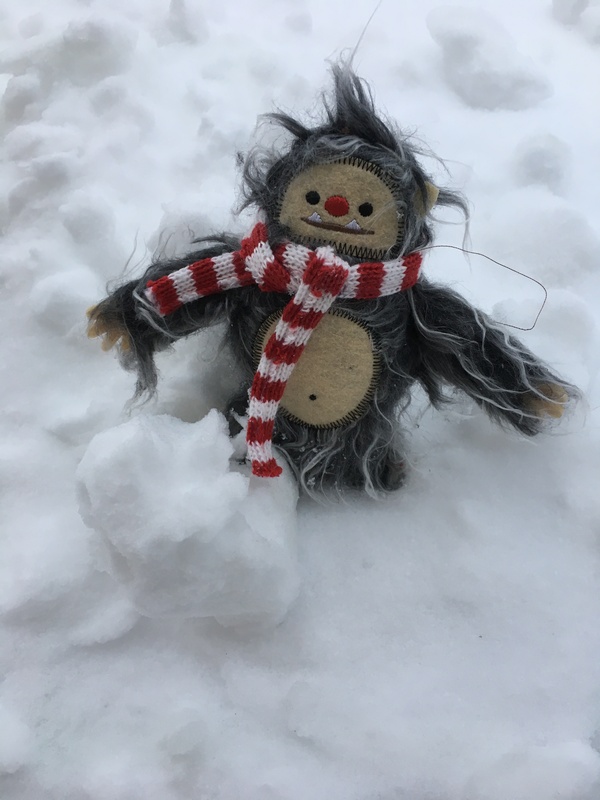 Author photo courtesy of Cordelia Jensen. 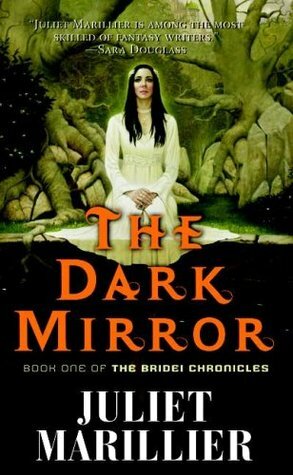 Book covers from Goodreads. 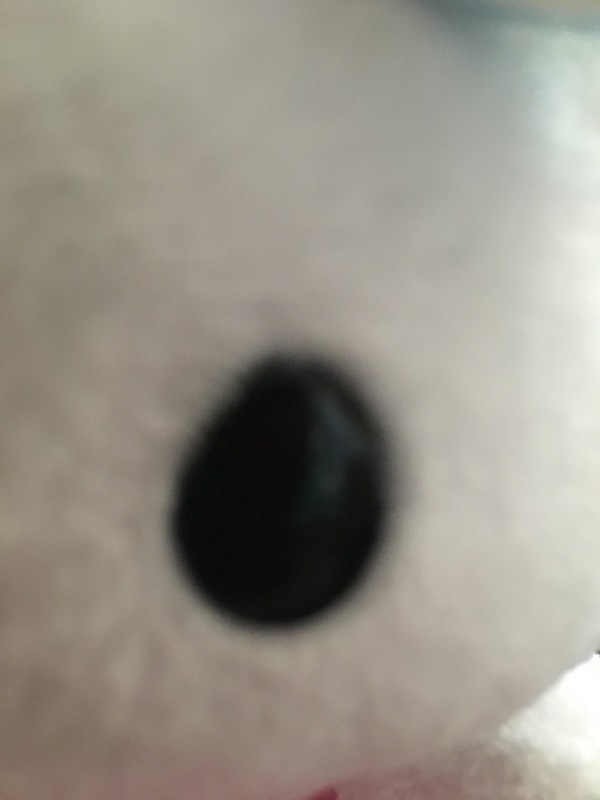 Camera image from cliparting.com. lifeasahuman.com. 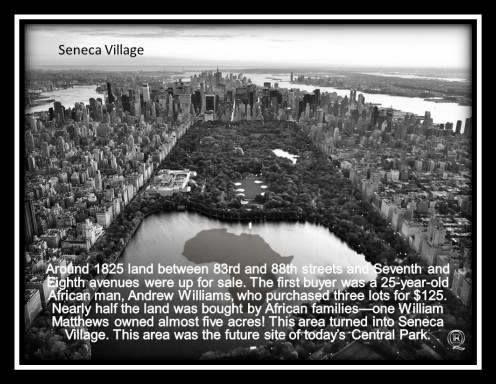 Seneca Village images from roadtrippers.com and Pinterest.com. 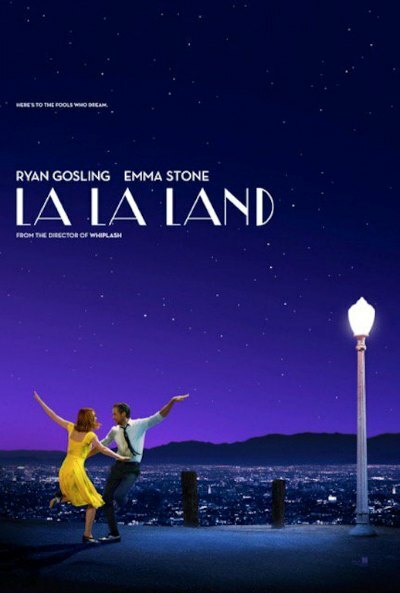 La La Land movie poster from backstageol.com. I forgot to check when I reached the five hundred-post milestone. That was actually several weeks ago. Whoops. Recently, one of my grad school classmates reposted a comment on Facebook about some crows at a wildlife facility that said, “Caw,” to imitate the humans who said that to them. Someone who worked at the facility explained that the crows mocked the humans who assumed that crows only said, “Caawwww.” I was so fascinated by that remark, that I decided to search out videos about crows, especially after hearing a crow calling out as it flew by my home. I wound up watching a twenty-two-minute TED Talk on crows and ravens by John Marzluff, a professor at the University of Washington. I totally get that you don’t have twenty minutes to watch a video. But the first few minutes at least are worth watching, because the way a crow problem solves in a clip Marzluff shows is fascinating. Around the fourteen-minute mark, Marzluff plays an audio clip of a raven saying his name—Edgar (ha, how fitting). But here’s a different video of a raven saying hello. With all of this talk of corvids, of course I think of City Jackdaw, Andy’s blog, since jackdaws are in the crow family. It’s interesting that crows and ravens are usually portrayed as sinister in literature. Think of “The Raven” by Edgar Allan Poe and the many, many fantasy novels that mention them or feature them on their covers. This post lists several. Like this novel. 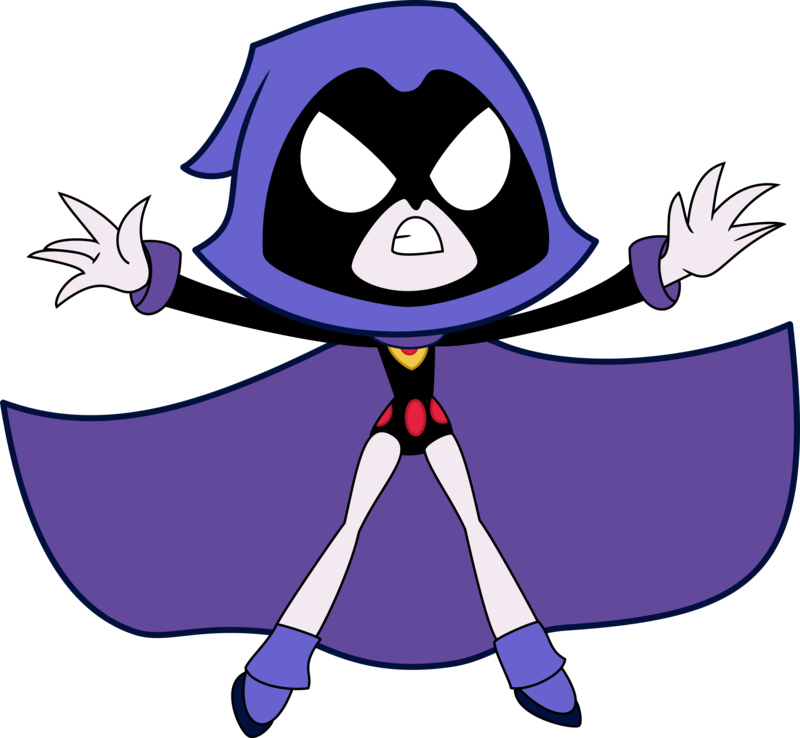 Even Raven, a member of the Teen Titans superhero group, is the one with dark powers. And there’s the Crow, a dude brought back to life by an unusual crow to seek revenge. The fact that crows eat carrion probably edged them toward the dark side in the minds of many authors. But I think they get a bad rap. I watched a video of a crow saying hello to a squirrel, which seemed kinda sweet. You can watch it here. Maybe it’s time for crows to get a break in literature. I’d love to hear of some stories where crows or ravens did something cool. Oh wait. I know one. It’s this one. What do you think of crows? Please comment below, especially if you know a good story about crows or ravens. 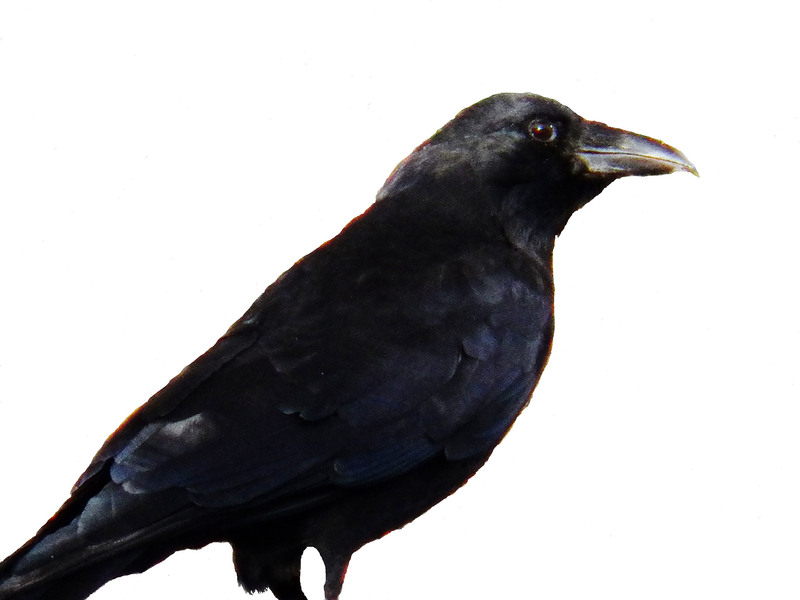 Crow photo from pubicdomainpictures.net. Raven from Teen Titans image from wallpapercave.com. 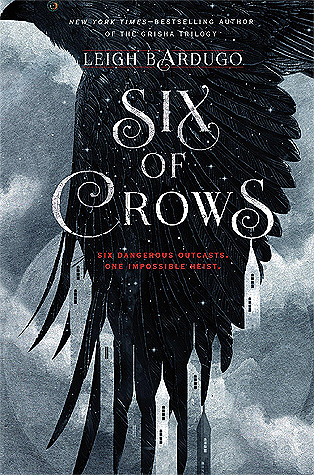 Six of Crows book cover from Goodreads. Today on the blog, you will find not one, but two of my incredible VCFA classmates: the marvelous Cordelia Jensen (left) and the awesome Laurie Morrison. They are here to discuss their middle grade novel, Every Shiny Thing, which was published by Abrams in April. Click here to read the novel’s synopsis. Cordelia and Laurie are represented by Sara Crowe. After the interview, I’ll tell you about a giveaway of their novel. Laurie: 1. I used to be able to hula hoop for hours on end, doing all kinds of fancy tricks. 2. I ran three marathons before hurting my knee while training for a fourth. 3. I think chocolate chip cookies are pretty much the world’s most perfect food. 4. I have a brother who can play the piano by ear, like Ryan can in Every Shiny Thing. Cordelia: 1. 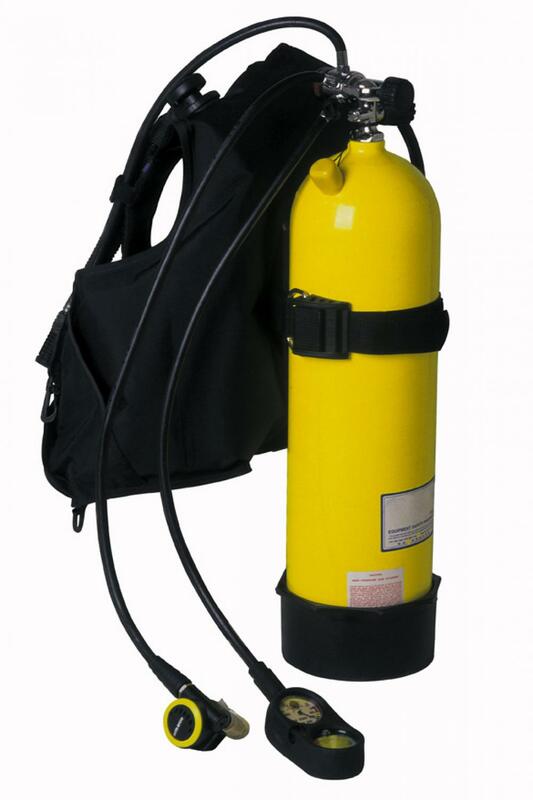 I was a certified scuba diver in high school. 2. I was a camp counselor for eleven summers. 3. When I turned 39, I got my first cavity, my first dog died, and I broke my first bone. It was like I turned 9 not 39! 4. I have boy girl twins who are 12, now we all read the same books! El Space: How did your premise—two middle graders who come up with what has been described as an ill-advised Robin Hood scheme to raise money for people in need—come about? Laurie and Cordelia: We started with a vision for our two characters and the relationship they would form, and we thought it would be compelling if Lauren developed a compulsion to shoplift and Sierra felt like she had to cover for her. But Laurie, who wrote Lauren’s point of view, is terrified of breaking rules and couldn’t fathom why Lauren would shoplift until she thought of the middle school students she taught and how passionate many of them were about social justice. We thought: what if Lauren is angry about the inequality she sees in the world around her and wants to do something to make the world a fairer place, sort of like Robin Hood…but then she gets carried away and her well-intentioned scheme spirals out of control? El Space: The book was written in prose and poetry. What was your process for writing? What was your favorite thing about working together? Laurie and Cordelia: Laurie wrote Lauren’s sections in prose and Cordelia wrote Sierra’s sections in verse. We had a big brainstorming session before we began writing, during which we figured out the midpoint and ending, and once we had written a little more than half of the book, we met again to plan a chapter-by-chapter outline for the rest of the story so it wouldn’t run away from us. But for the most part, we just went back and forth in a Google doc, one of us writing a chapter, then the other building off that chapter to write the next one, and so on. We both found the process incredibly energizing because we could bounce ideas off each other and improvise with each other as we went. And it was pretty great to get immediate feedback on the sections we wrote so we knew right away what was working and what wasn’t. And we gave each other lots of compliments as we went, which was also very fun and validating! El Space: Talk to us about your main characters—Sierra and Lauren. How are they different than or similar to middle grade you? What advice would high school you give to Sierra and Lauren about surviving middle school? Why is this important? Laurie: I was conscientious and loyal, like Lauren is, and I had brothers I felt somewhat protective of. I cared about injustice, but not as single-mindedly as Lauren does. And I was a rule-follower, so I never would have stolen! I think high school me would have been overwhelmed by the misguided intensity of Lauren’s Robin Hood plan. There were a couple of times when I was in high school when I really wanted to help a friend but realized I was not equipped to figure out how to do that, so I went to a trusted adult—the guidance counselor at my school—to ask for advice. High school me would have gone to the guidance counselor to work out a plan to help Lauren, and I likely would have tried to help her talk to someone she trusted, like her Aunt Jill or her teacher, Mr. Ellis. I would have advised her that there are times when things get intense and hard enough that you may need adult reinforcements and sometimes you may want to turn to adults other than your parents, and that’s just fine. Cordelia: I was definitely a caretaker like Sierra is, which is part of the reason I wanted to write this book. I would tell Sierra (1) you are safe now, let yourself trust in your new environment and the people who are caring for you (2) if you feel overwhelmed in a relationship, seek help and support. Dare yourself to ask for help even if it feels impossible. Feeling like you are the only person who can help someone can become an addiction itself. 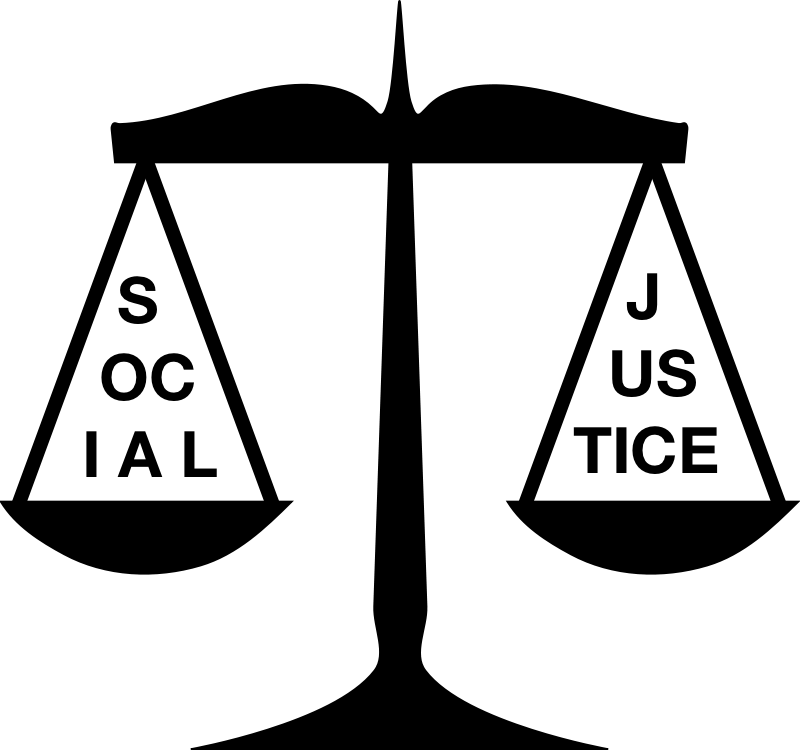 El Space: Social justice is a big theme in society and in your book. What do you hope kids will take away from your book? Laurie and Cordelia: The School Library Journal review of Every Shiny Thing says the novel may encourage some readers to examine their privilege, which we were thrilled to see because we definitely like the idea that the book would make readers stop to think about things in the world that aren’t fair and things they can do—without resorting to illegal measures like Lauren does—to make a difference. In addition, if kids are struggling with an addicted parent, we hope they will see that there are resources out there that can offer help. El Space: Please tell us how your passion for writing books for kids developed. 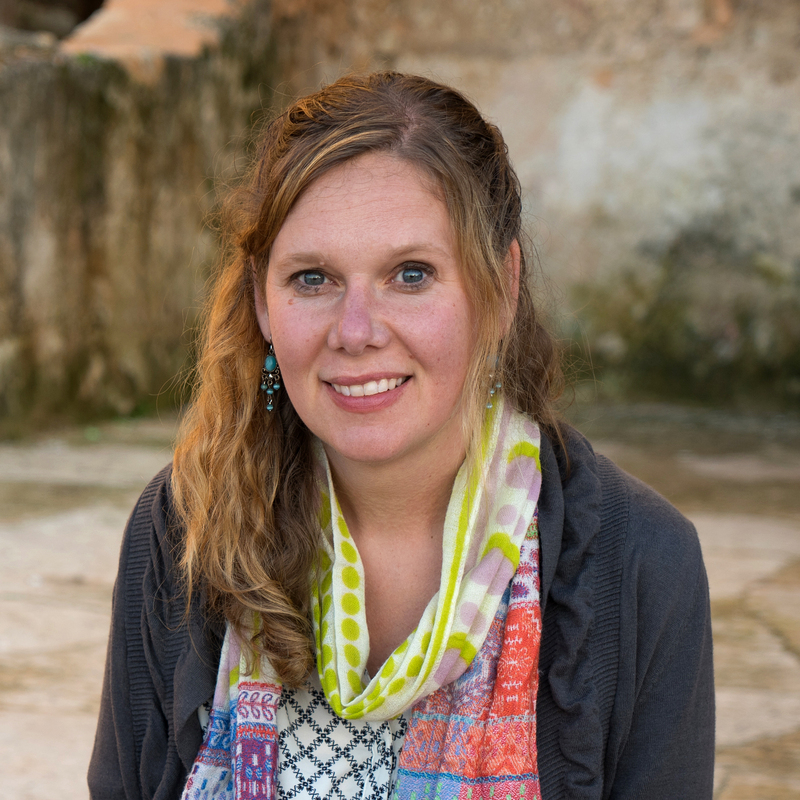 Laurie: I only began writing fiction after I began teaching middle school. There was something about my students’ passion, humor, creativity, and honesty that inspired me deeply. I also went through a lot of big life changes when I was in middle school and high school, and I very vividly remember what it felt like to be that age and deal with big revelations and relationship shifts. 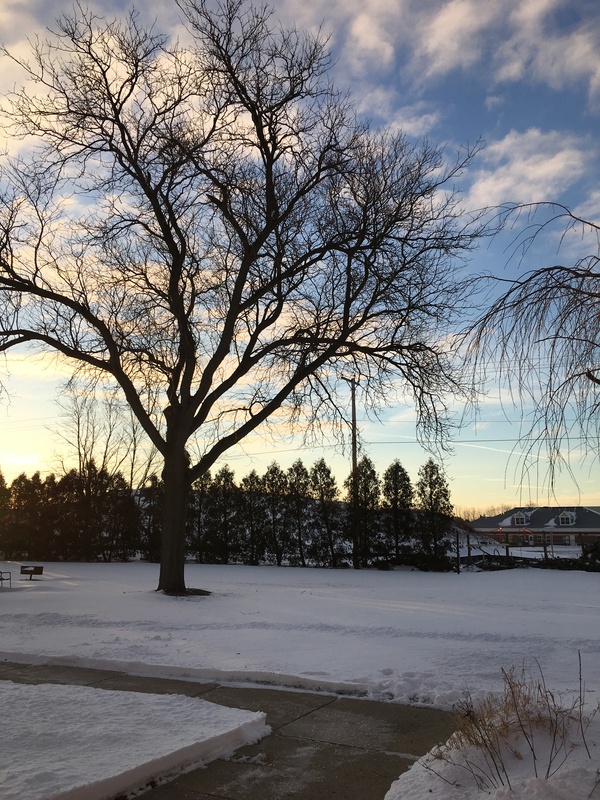 I feel a lot of empathy for my middle school and early high school self and am moved to explore some of the intense feelings I had at those ages. Cordelia: I have always been a writer and even concentrated in Creative Writing at Kenyon College as an undergrad. However, I began writing for kids after working with them. Besides having an MFA in Writing for Children and Young Adults, I have an M.Ed in School Counseling. I worked as a counselor in my twenties and was also a camp counselor for a long time (see fun fact). Once I became pregnant with my own kids, I was drawn to write stories and poems for the kids I had worked with for so long. I felt I had a lot more to say to kids and teens than to adults. 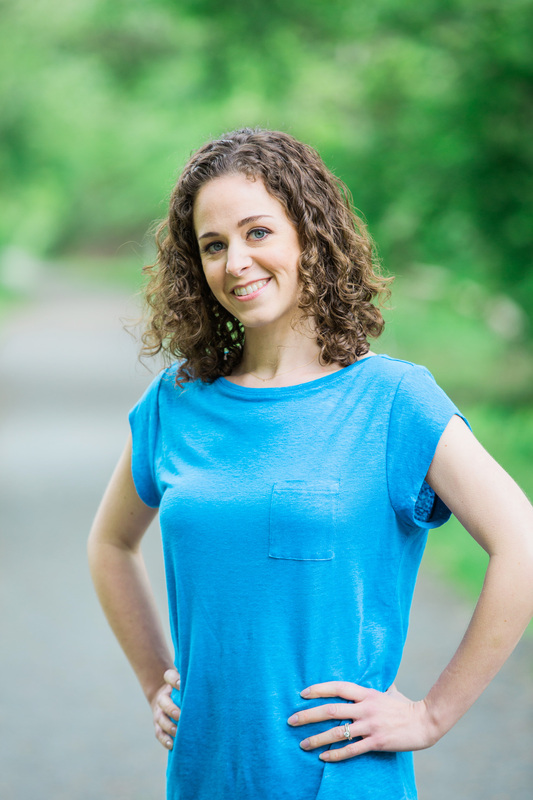 Laurie: I’m finishing up edits on my next middle grade novel, Up for Air, which is a summer story about competitive swimming, self-esteem, fitting in, and standing out that will come out next spring, and I’m working on a couple of other projects that are in much earlier stages. Cordelia: I’ve been working on a picture book, a MG novel, and a YA—all in verse! Thank you, Cordelia and Laurie, for being my guests! Looking for Cordelia and Laurie? You can find them at these locations. Laurie Morrison: website, Twitter, Instagram. Cordelia Jensen: website, Twitter, Instagram. Every Shiny Thing is available at a bookstore near you and online at Amazon, Barnes and Noble, Indiebound. If you’re a teacher and need resources to teach about the topics in Every Shiny Thing, click here. One of you will be given a copy of this book simply because you commented. Check back on June 21 to discover the winner. Having read Every Shiny Thing, Lippy Lulu and Macy Macaron are inspired to do something to help others in need. Cordelia Jensen author photo by Marietta Pathy Allen. 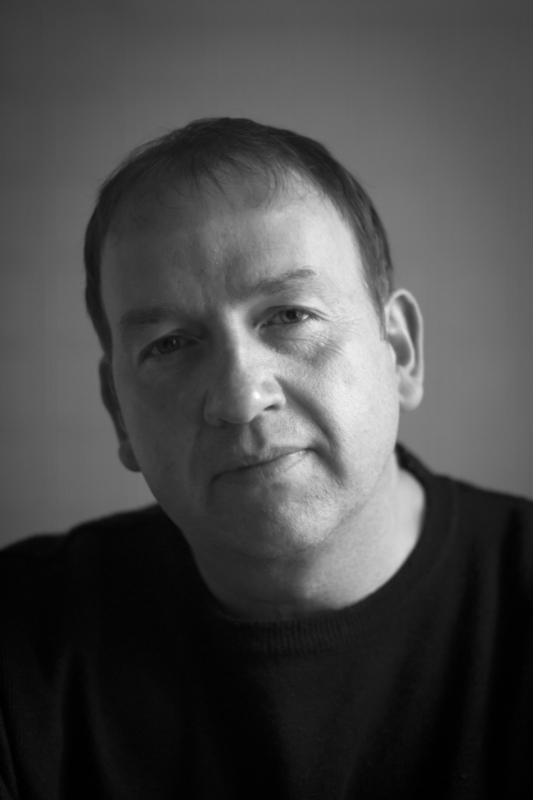 Laurie Morrison author photo by Laura Billingham. 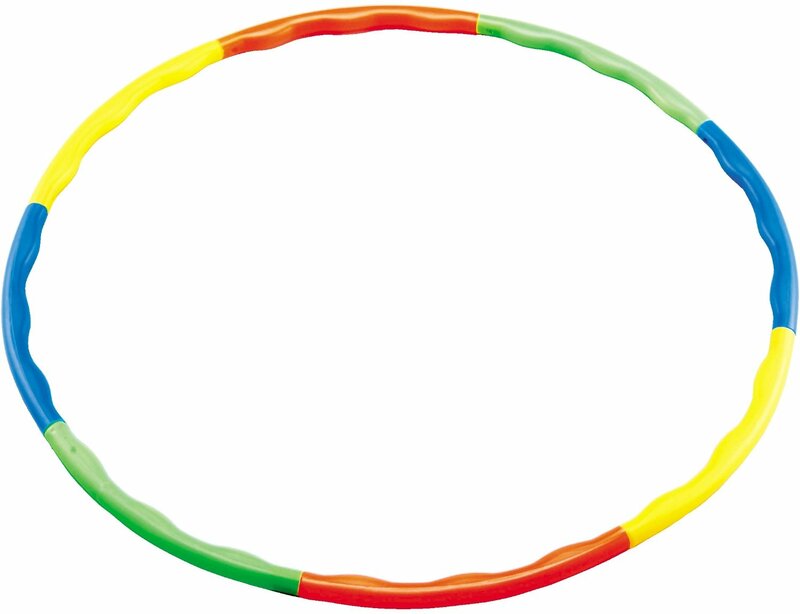 Hula hoop from keywordsuggest.org. Scuba gear from ladyasatramp.blogspot.com. Social justice image from stephenandmary.org.au. Google docs image from heavy.com. 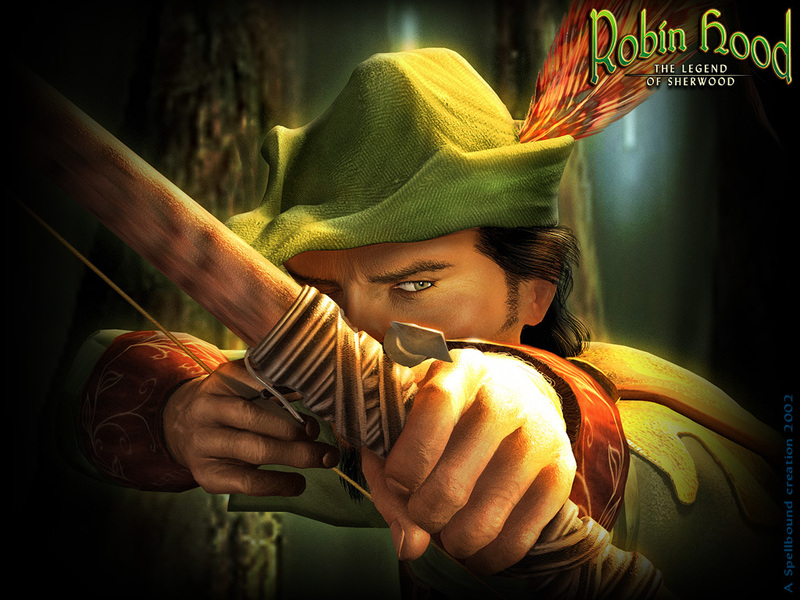 Robin Hood image from freepins.com. 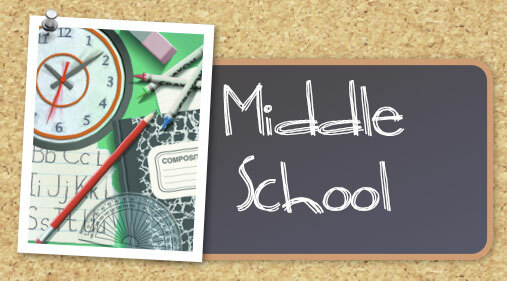 Middle school image from sites.google.com. 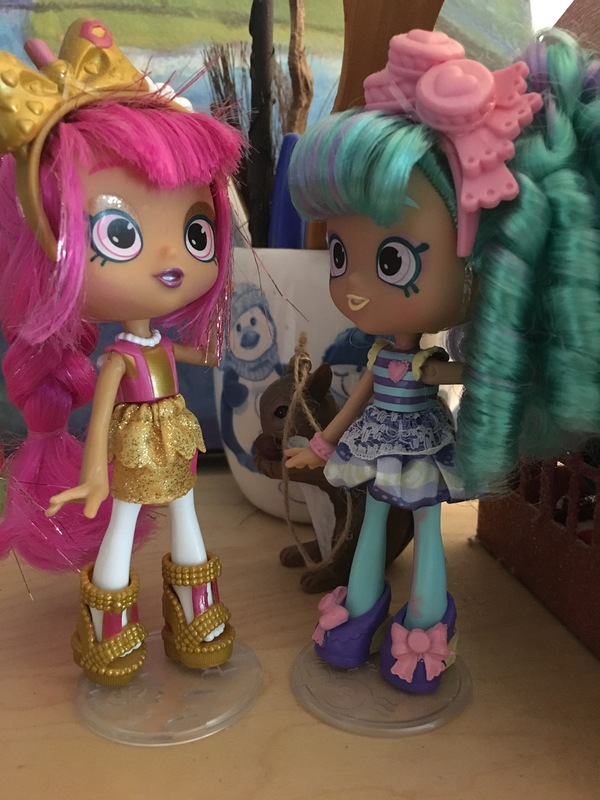 Shopkins Shoppie dolls—Lippy Lulu and Macy Macaron—by Moose Toys. 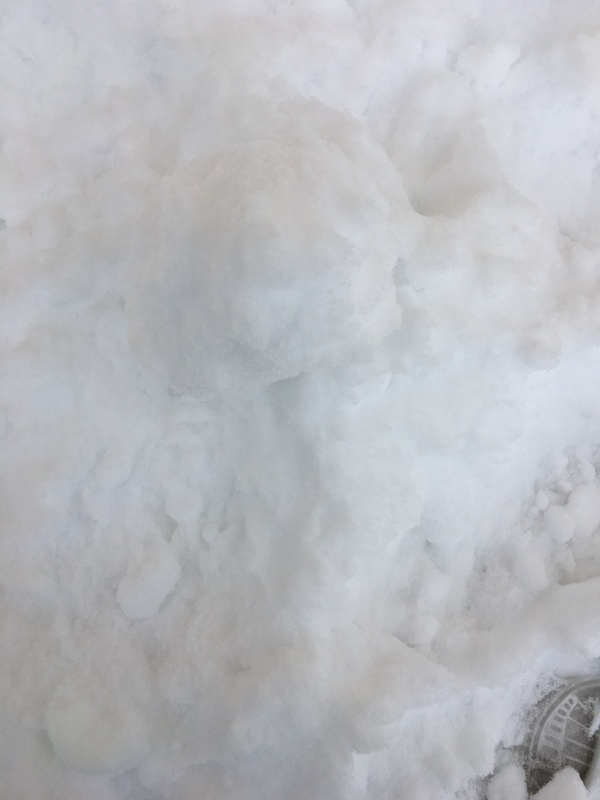 Photo by L. Marie. Andy: 1. I’m at least six-generation Mancunian. 2. I knew my wife for twenty-six years before we got together. I play the long game. 3. I’m vegetarian. 4. Despite my name, I don’t like tennis! El Space: What interested you about writing stories for this second volume? When I read the premise, I couldn’t help thinking of Neil Gaiman’s American Gods. I’m also reminded of Juliet Marillier’s Bridei Chronicles, in which the author mentions the Picts’ desire to hang on to their religion as Christianity moves forward in the land. 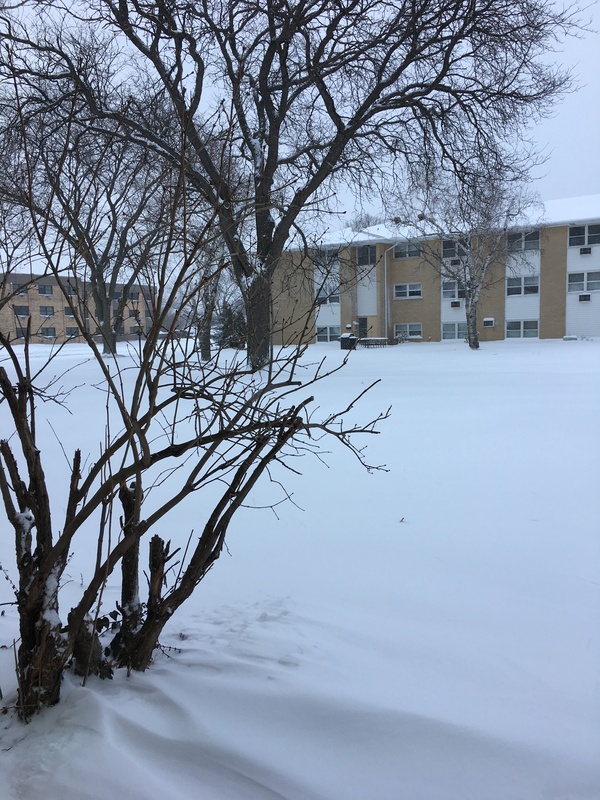 Andy: Well, I knew that the Northlore series was a planned trilogy of books, and being a part of volume one was such a positive experience I wanted to be a part of the succeeding book. Folklore was a great collection of prose and poetry, with something for everyone, and Mythos feels like a step up. They complement each other perfectly. 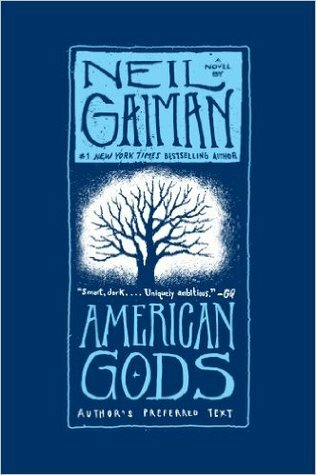 I’m not familiar with Bridei Chronicles, but I know what you mean about American Gods. The stories in Mythos are arranged in chronological order, in many different locations, and some of them are indeed set in modern America. The premise of the collection is that with the advent of Christianity the old gods knew that their time had come and they withdrew, but they didn’t cease to be. These are their continuing stories. El Space: What was the inspiration behind your stories, “Into the Storm” and “Saga”? Andy: My wife and I used to be foster carers. A private tutor used to visit the house to give extra tuition to a teenage girl who was living with us. Through no fault of her own she had missed out on a lot of schooling and was behind many of the students in her class. In a bid to encourage her English, the tutor decided to set a writing competition for the whole family. My wife was mortified. She stipulated that our stories could be about anything, but had to bear the title ‘Holes’. I came up with a story set in the Somme of the First World War, you know: foxholes, shell holes, etc. But also a depiction of how some people seemed not to be made in the same way as others, as though there were pieces missing from their character and they were riddled with holes. I can’t recall how exactly I put it now, but it was along those lines. Anyway, I had that story lying around, and when I saw the call for submissions for Mythos, I took it and adapted it in a way that fit Nordland’s criteria. ‘Holes became ‘Into The Storm‘. I don’t know where this came from. Do we ever, really? But I began to think about it. How ‘she came home early’ could fit both love and horror stories, and what they implied. But, more importantly, I began to wonder about who ‘she’ was who was doing the asking. 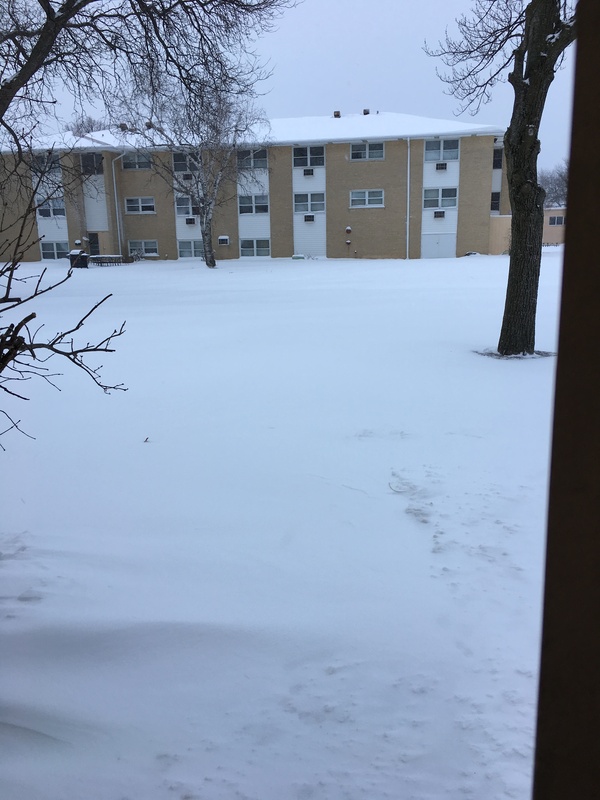 By the time I reached my destination I had the story finished in my head, but not trusting my memory I jotted down the outline on the Notes part of my mobile phone. 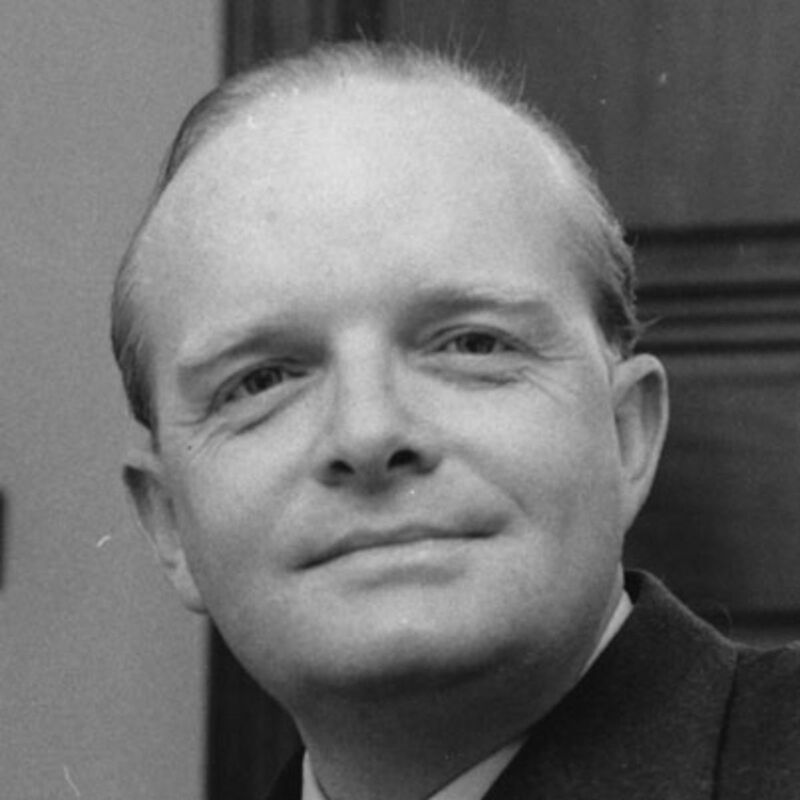 El Space: In a 1957 interview with Truman Capote [photo below] in The Paris Review, Capote said, “When seriously explored, the short story seems to me the most difficult and disciplining form of prose writing extant.” How would you respond to this? Andy: Well, I love Capote, and I know that he was a very disciplined and methodical writer. I’m also reminded of Dylan Thomas referring to ‘my craft or sullen art’. In contrast with these two huge figures, though it may sound simplistic all I can say is that I write the type of fiction and poetry that I would like to read, and endeavour to make them the best that I can. El Space: When it comes to short story writing, which comes first for you: a character; a situation/plot; or an image? Any of the above? None of the above? 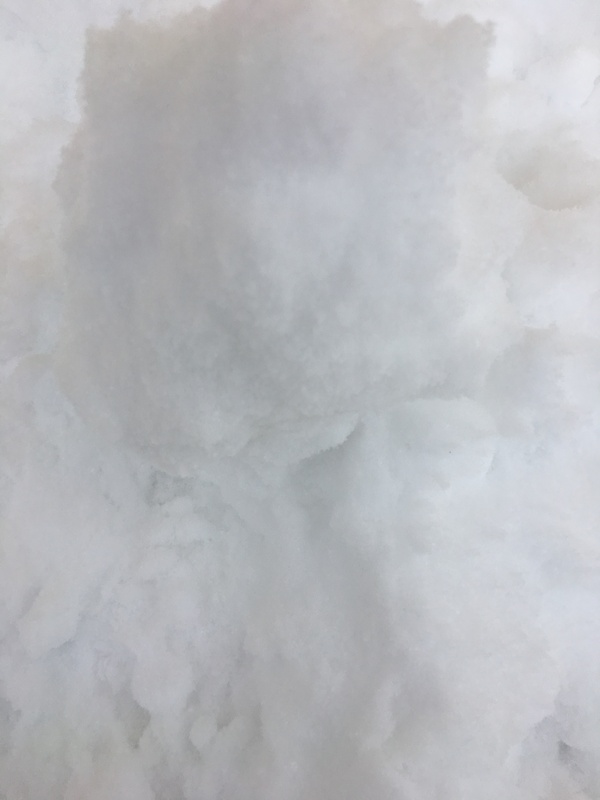 I mentioned image, because C.S. 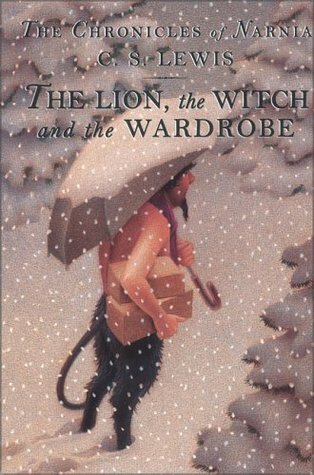 Lewis once explained that the image of a faun with an umbrella came to his mind way before he wrote The Lion, the Witch and the Wardrobe. Andy: A faun with an umbrella—that’s pretty cool! I wonder if he was on a bus? 🙂 I think for me the gist of the story comes first. I have in mind the kind of thing that I want to say, and in pondering on how to realise this everything else is born. El Space: What was your introduction to writing? Andy: As a child I loved books, and loved writing too. 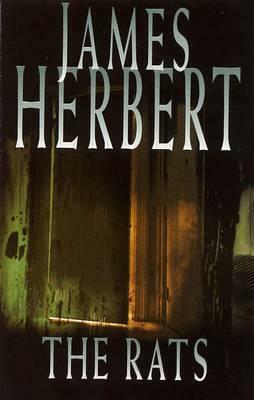 My primary school teacher expressed concern to my mother one parent’s evening about the type of books that I read—James Herbert, Stephen King. But I later learnt that that same teacher used to pass my stories around the staff room for the other teachers to read. On my last day, before leaving for high school, she wrote in my autograph book ‘I hope you manage to get a book published one day‘. I tried to track her down recently to present her with a copy of Heading North, but was unable to find her. I’ve not given up, though. Andy: I’m actually on the second draft of a novel at the moment, provisionally called ‘Seasons On The Hill‘. It is about life on a northern housing estate, as seen through the eyes of different, interacting characters. The estate in question is actually a fictionalised version of where I live. Although none of the characters are based on real people, many of the situations involved really happened. Maybe with a little embellishment. Part humour; part tragedy. The stuff of life, yes? El Space: Yes! Thanks, Andy, for being my guest! Andy: Thank you Linda for this opportunity. As I saw someone comment recently upon one of your posts: you’re such an enabler! If you’re looking for Andy, head to Facebook and his blog. You can find Mythos at Amazon. But one of you will find it in your mailbox or on your tablet. How? Comment below to be entered in the drawing. Winner TBA on February 4. 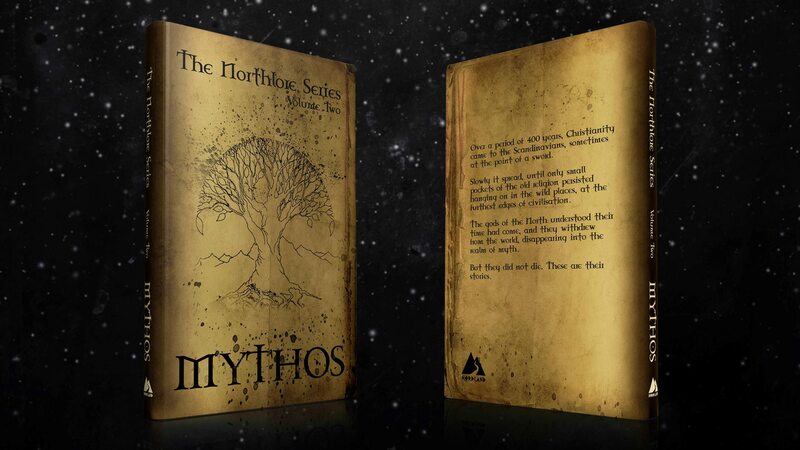 Mythos cover from the Northland website. 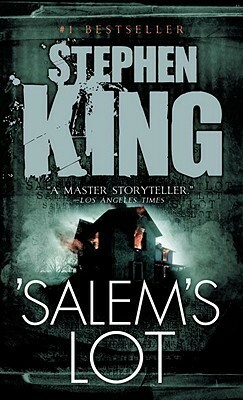 Other book covers from Goodreads. Truman Capote photo from biography.com. 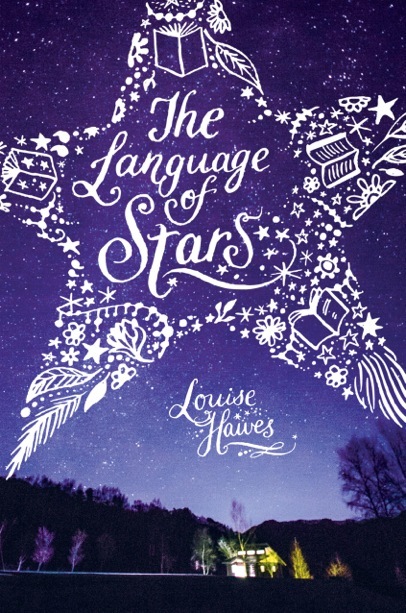 Today on the blog, it is my privilege to welcome the wise and wonderful Louise Hawes, who is here to talk about her young adult novel, The Language of Stars, the latest of her many novels. I met Louise my first semester at Vermont College of Fine Arts, where she is on the faculty. Click here to read a synopsis of The Language of Stars. Louise is represented by Ginger Knowlton. The Language of Stars, published by Simon & Schuster, debuted in May of this year. At the end of the interview, I’ll tell you how you can get this book. Now, let’s talk to Louise! Louise: 1) I’m allergic to chocolate. I know, I know! Weep for me! 2) I’m part of a group that meets every week to share responses to our dreams. 3) Before I was an author, I was a sculptor, in wood and stone. 4) My three sisters and I give creativity Playshops all over the world. El Space: The premise for The Language of Stars is so intriguing. What inspired its inception? Louise: The summer residency schedule at Vermont College of Fine Arts must have had some “air” in it in 2008. Although VCFA’s students and faculty are usually busy morning to night, I somehow found time to pick up a paper, sit down, and read it! 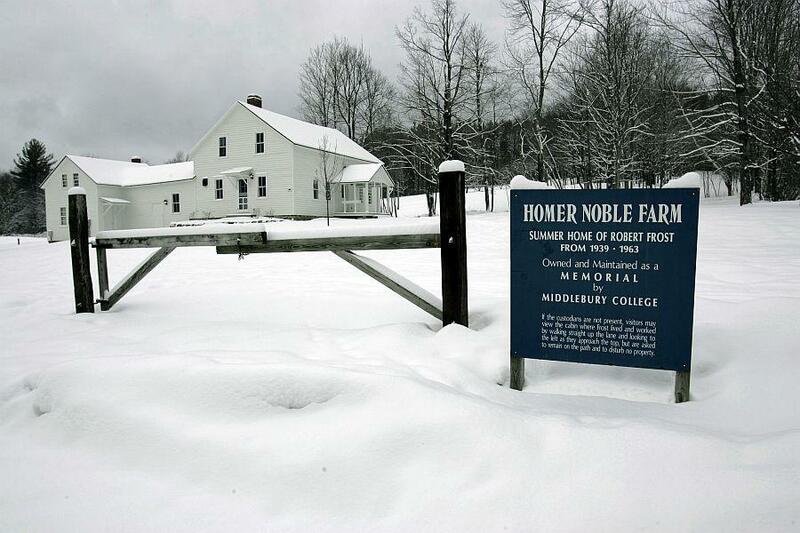 What caught my eye was a story about a group of teens arrested for vandalizing Robert Frost’s historically preserved summer home in Ripton, Vermont [below]. Because they were all underage, and couldn’t serve jail time, the teenagers were “sentenced” to take a course in Frost’s poetry. 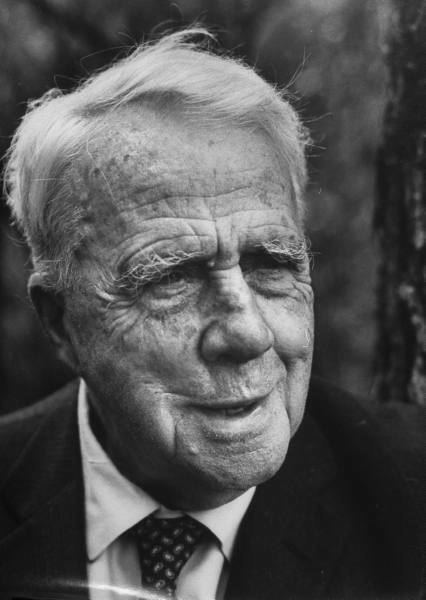 I’m sure you can imagine how this article triggered my writer’s “What if?” machinery: what if the poet wasn’t Robert Frost, but a fictional celebrity poet from North Carolina—where I live—who’s done for the landscapes and people of the South, what Frost did for New England? What if this poet, unlike Frost, was alive when his house was vandalized? What if he decided to teach the course himself? And what if he met a young student who . . . well, you get the idea. I just couldn’t stop! El Space: Your prose has such verve! I love your play script sections. Words and sounds seem very key in this book. 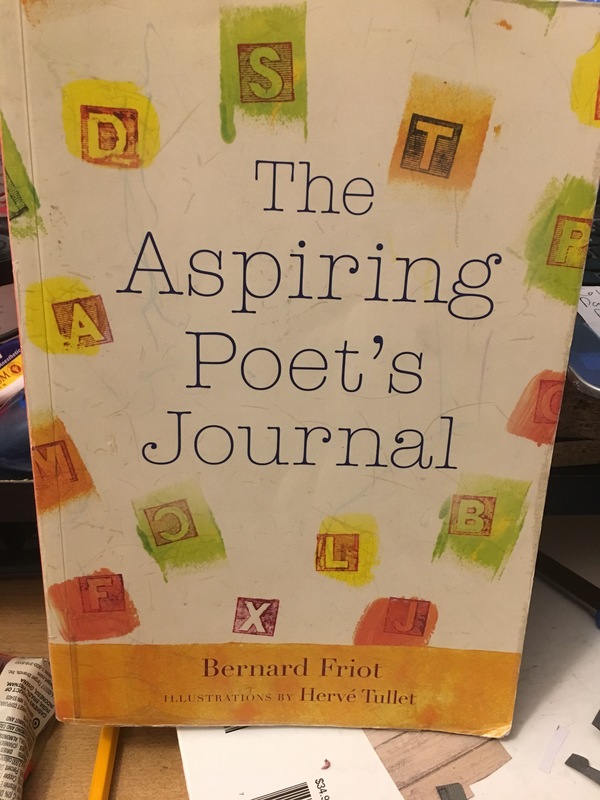 Is this your first novel to include poetry? Please tell us how that came about. Louise: I knew from the beginning that Stars would include both prose and poetry. After all, most of the characters in the novel are writing poetry instead of doing hard time! And two of the characters, Rufus Baylor, my Superstar Poet, and Sarah Wheeler, the 16-year old student whom he meets and mentors, hear the whole world talking to them. That’s where the snippets of dialogue, those play scripts, come in. Sarah, I learned after months of free writing with her, is a wannabe actress, and so this third format was included for her. The lines of dialogue in these scripts aren’t usually people, but things—plates spinning, furniture breathing, sand crabs busy under the beach. Everything has a voice! And yes, this is first novel of mine that’s featured poetry as an integral part of the book. Actually, though, the poetry in Stars was the least difficult part of bringing this story to life. 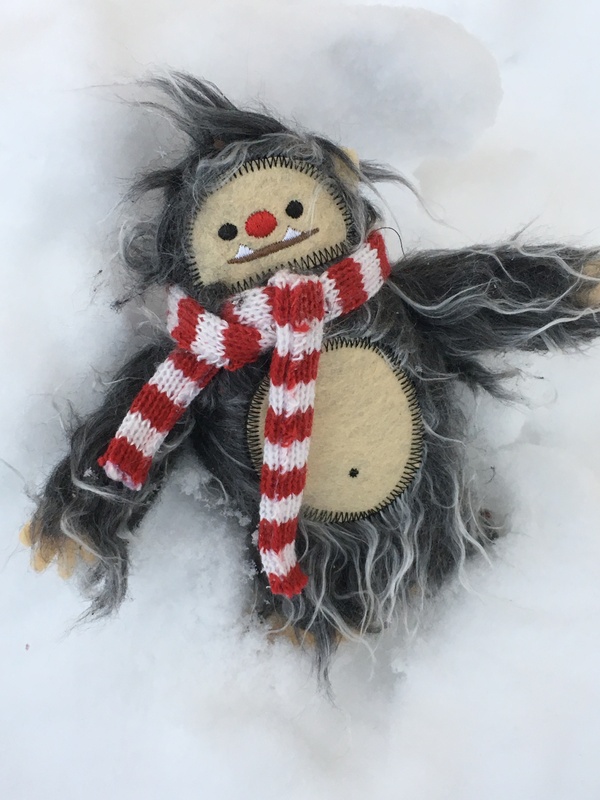 While the research into Frost’s life and work, which entailed reading everything he ever wrote and everything written about him, was a long, hard process, the poems? They flowed, they filled me up. You see, I’ve always read and written poetry. In fact, I often write a poem for each prose chapter as I’m drafting a novel—not for publication, but to provide an emotional benchmark, to make sure I’ve got the feeling tone I want. So poetry wasn’t new for me, but making it public was. I’d never thought of submitting it, instead I’d kept it private, close to the bone. So even though I’m a bit old to be a “debut novelist,” I guess, in that respect, Stars is a first for me! El Space: What aspects of your personality, if any, did you donate to Sarah? To Fry? Why? Louise: Wow! I can tell you’re an author yourself, Linda! 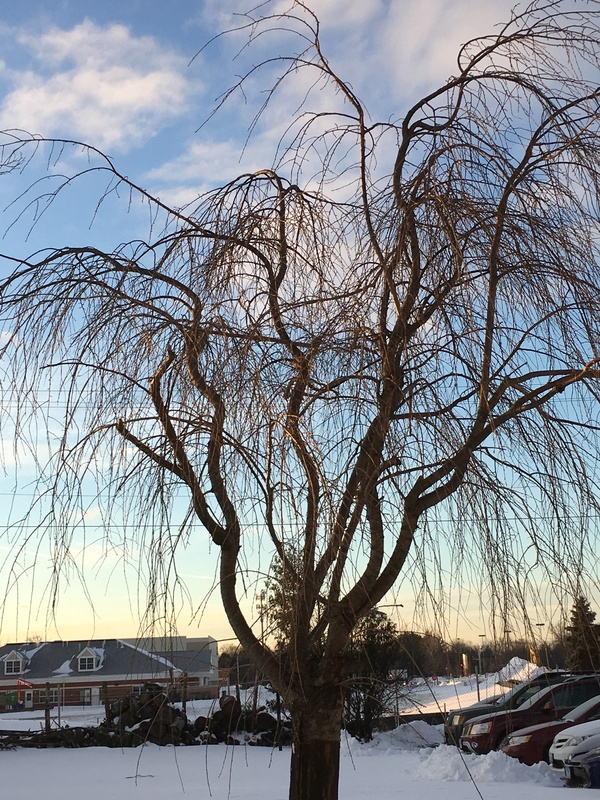 We writers know so well that a large part of what we do is building bridges between ourselves and our characters, finding the parts of us that feed them. So far as Sarah, the teenage narrator of Stars, is concerned, there are a lot of bridges: once I’d free written with her—I keep a notebook of free writes for every book I work on—I discovered that she, like me when I was young, wants to be an actress. I even had a brief and supremely mediocre acting career out of college. 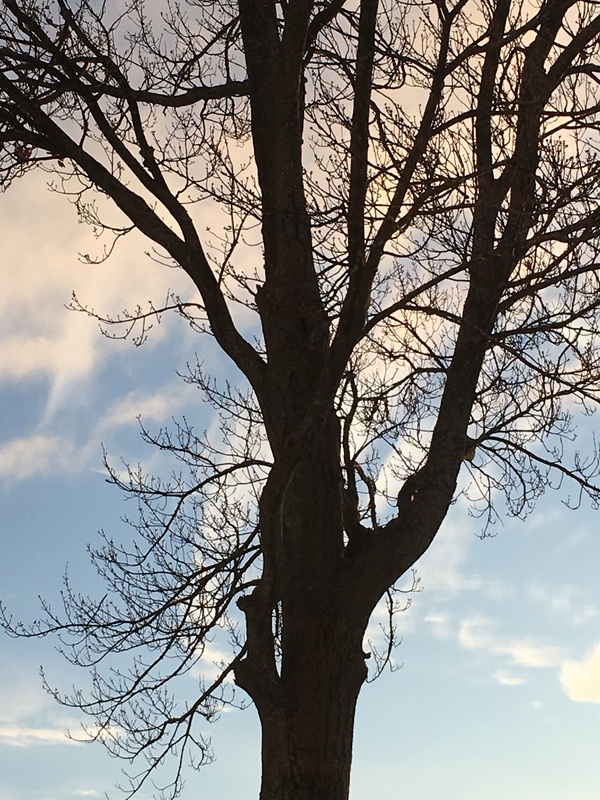 I learned, too, that, like me and so many other adolescents, she cares achingly about what other people think, so much so that she has trouble finding herself in the mix. As for Fry, her popular, seductive boyfriend? He reminds me of that part, in all of us, that takes good things for granted until it’s too late. It’s funny, because just a few days ago, I got a letter from a reader who wrote me that, although she never expected to feel sorry for Fry, by book’s end, she did. I did, too. . . .
El Space: A poet mentors Sarah in the novel. Who mentored you as an author? Louise: I am so grateful to you, Linda, for asking this question. It gives me a chance to pay tribute to a teacher I took for granted, someone whose role in my life I failed to recognize at the time. His name is Calvin Atwood, and he was my high school English teacher. He gave me my first book of poetry; I still have it, and it’s inscribed: “For Louise, who will find and give treasure . . . everywhere, always.” That’s a mantra I say every day now. What a blessing it is when someone believes in you that much! El Space: So true! What writing advice would you like to share about writing for teens or about poetry? 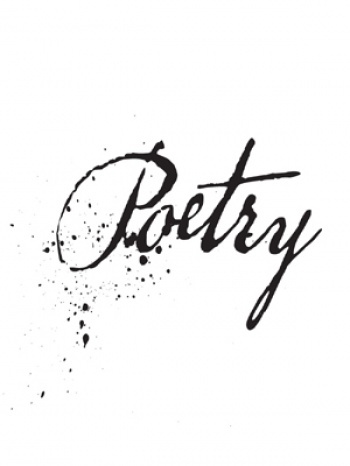 Louise: Three other VCFA faculty members and myself put together a panel on poetry just a few semesters ago. We all wore berets and sunglasses and flounced to our seats as Dave Brubeck music played in the background. Then, of course, we took off the hats and sunglasses and got real. Our point? You don’t have to suffer or live in a garret or exist on some esoteric, unreachable level of sensitivity, to love, read, and write poetry. Its rhythms and music are as essential as a heartbeat, and often just as necessary for survival. So have fun and get down with poetry, don’t put it on a pedestal. Love it, don’t leave it. Feel it, don’t analyze it. Your life will be richer, wider, deeper for it. Louise: I’m working on two novels right now—an historical fiction called The Gospel of Salomé—yes, she of the seven veils!—and a book for middle graders called Big Rig, about a father-daughter trucking team. I love having two projects going at the same time; that way you never get bored or over-stay your welcome with one story’s characters! 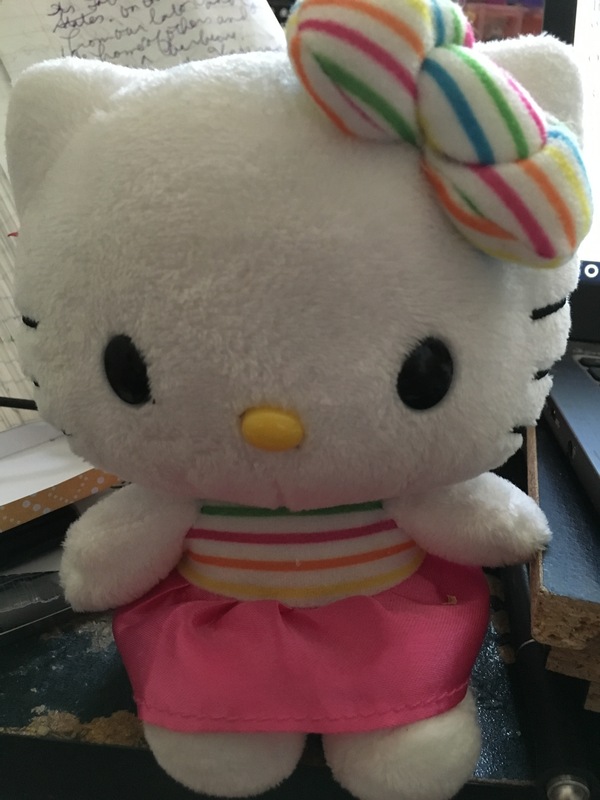 Thank you, so much, Louise, for being my guest! Looking for Louise? You can find her at her website, Facebook, and Twitter. But one of you will be given a copy of this book just for commenting below. 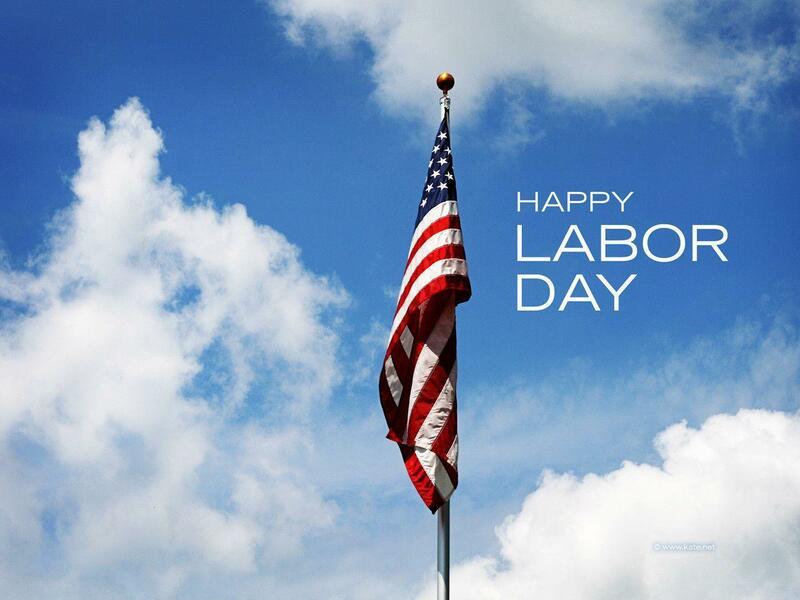 Winner to be announced on August 15. 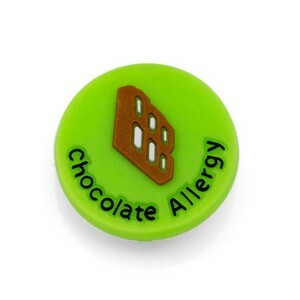 Chocolate allergy image from stickyj.com. 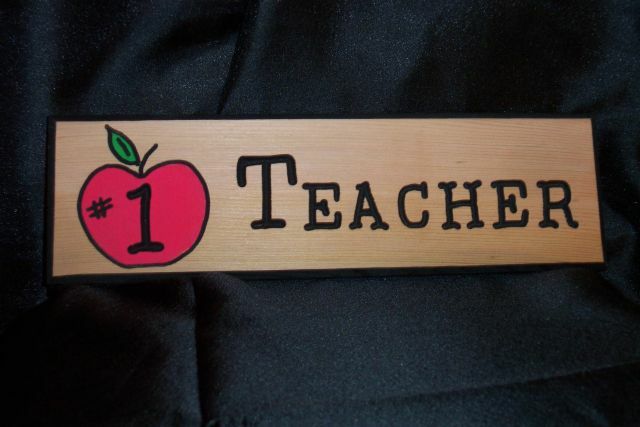 Teacher image from globalcatalystgroup.com. Robert Frost from writingasaprofession.wordpress.com. Poetry image from annawrites.com. 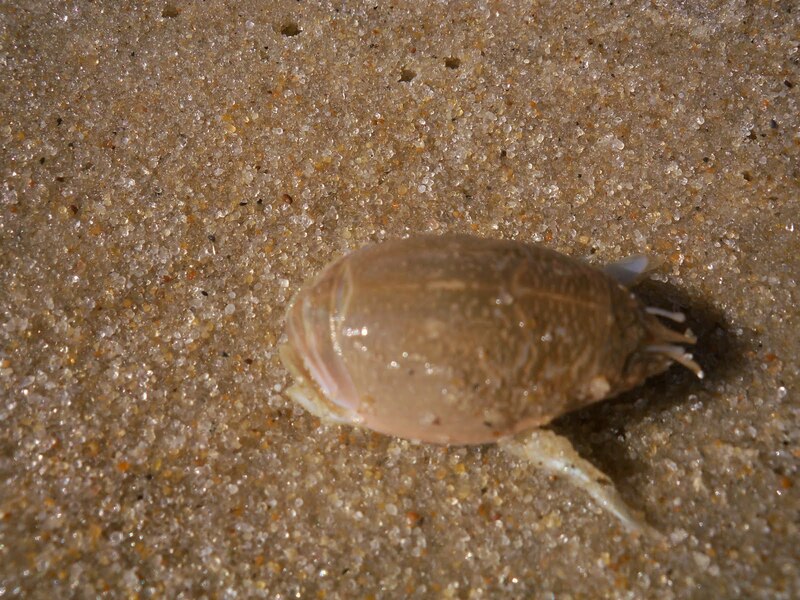 Sand crab from milkweedpods.blogspot.